£27 million. The cost of two of the players in the England Under-21 team that beat Northern Ireland U-21s on Tuesday night. No wonder then that Northern Ireland Under-19s assistant manager, Stephen Craigan, working as a pundit for ESPN, declared himself happy that the score was goalless after 30 minutes. 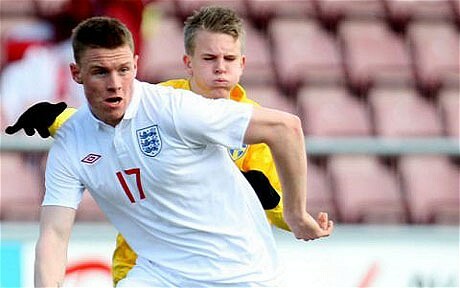 The Northern Irish Under-21 players couldn’t compete with a squad boasting a set of players comprised of ‘next big thing’ status and gaining valuable experience of winning in an England shirt – something that has to be instilled into the mindsets of those realistic about wearing the senior Three Lions shirt. The pre-match focus centred on Tom Ince who would be playing at his club’s home stadium, Bloomfield Road, for the first time in England colours. The ex-Liverpool star has impressed many an observer since he switched to Blackpool from Anfield and his performance was likely to attract scouts on a quiet night of football. Earlier, all the talk had been on Wilfried Zaha – the Crystal Palace youngster who had been poached from the Under-21 set-up to travel with the senior squad for their friendly against Sweden. Both Ince and Zaha ply their trade in the Championship and have benefited from the regular football they have been afforded in the division. Some players struggle to play regular football for their clubs and this, despite, lavish transfer fees being spent on them. Captaining Stuart Pearce’s team on Tuesday was Liverpool’s Jordan Henderson, an £18 million purchase from his hometown team, Sunderland, and leading the line up-front was the Black Cats’ striker, Connor Wickham, who commanded a £9 million cheque to satisfy his former club, Ipswich Town. Amidst all the buzz generated by Zaha’s explosion onto the national scene and Ince’s emergence as a tricky winger capable of moving up to the Premier League, less column inches were devoted to Henderson and Wickham who went about their international business as per usual. Wickham, still only 19, has had far less game time since moving to Sunderland but is starting to show his potential for England, scoring the opening goal in their 2-0 win over Northern Ireland. Henderson looked more comfortable playing for the under-21s than he does for Liverpool but, at 22, is reaching a crossroads in his career and was occasionally nervous for Pearce’s side. 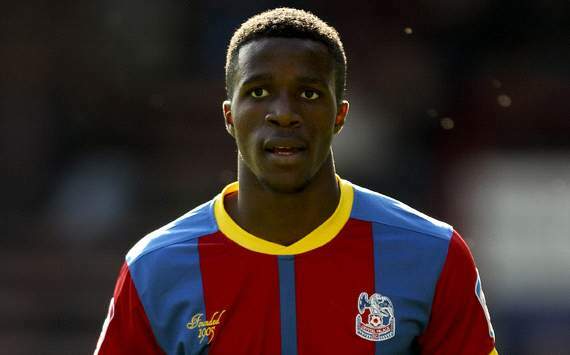 Young Jordan would be able to relate to Zaha’s situation, having been called up to the senior England squad when he was the same age as Wilfried is now: 20. Henderson went on to play in the friendly versus France, something that Zaha is fully expected to replicate in tonight’s Sweden friendly and if so, both would have played for the national side whilst representing their local club, with Henderson impressing for Sunderland when Capello brought him into the side. Naturally, a call-up for the national side whilst Henderson was excelling for Sunderland had many purring at the prospect of the player progressing further up the footballing ladder. As is the case with modern football, Henderson’s ability and young age had many suitors lining him up and inevitably, the two-time Young Player of the Year for Sunderland moved on for a staggering £18 million to Kenny Dalglish’s expensively-assembled Liverpool side. Liverpool faltered in the league under Dalglish although Henderson won the League Cup and Liverpool Young Player of the Year award in a mixed first season at Anfield. The midfielder made 40 appearances in a campaign which ultimately drew the curtain on his mentor’s managerial career. Henderson added a further four England caps to the sole item of headwear he had accrued initially as a Sunderland player and he could have been forgiven for thinking that he had a lot to look forward to on the eve of the 2012-13 season. But Brendan Rodgers clearly had other ideas and Henderson was dismayed to learn of his disposability when he was offered to Fulham as part of Liverpool’s failed attempt to buy Clint Dempsey this summer. With £15 million recruit, Joe Allen, and the likes of Jonjo Shelvey, Nuri Şahin and Suso keeping Henderson out of the Liverpool line-up, the Sunderland native is finding his first-team opportunities ever more limited and, after making Roy Hodgson’s summer squads, the midfielder has to make do with going backwards, inadvertently becoming the epitome of consistency for the Under-21s. 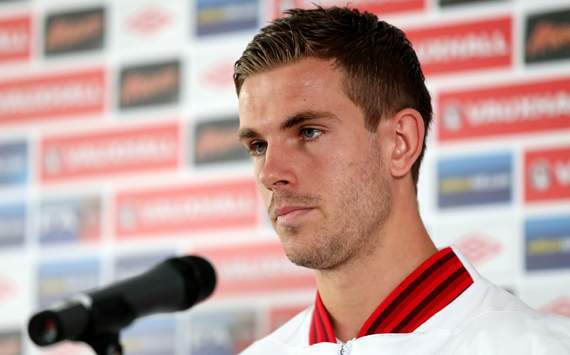 So Bloomfield Road on a Tuesday night is where Henderson finds himself whilst the senior squad prepare to travel to Sweden and christen the newly-built Swedbank Arena. As one of the more senior players in the Under-21 ranks and having played at that level the most out of the current squad, Henderson was an obvious choice for the captaincy. In a year’s time he will be ineligible for the side and find out whether he’s in Hodgson’s plans for the 2014 World Cup should England qualify. Rodgers has said that he can leave at the end of the season and Henderson faces a battle to arrest the downward trajectory his career is heading. Zaha has already surpassed the 100-game milestone for Crystal Palace and becomes the first Championship player since Jay Bothroyd to be called up to the senior England squad. Ironically, Bothroyd’s debut England appearance coincided with Henderson’s first cap in the game against France and Zaha should be mindful of the perils that can blight a player thrust into the limelight so young, as Henderson’s story forewarns. High hopes, once again, greet the arrival of a Young Lion into the main national set-up. Haven’t we seen this all before? Promising youngster gets hyped to the nth degree then never quite lives up to the billing. For every success, there is a failure. The England Under-21 history books reveal that Alan Shearer is the joint leading goalscorer for the Young Lions. So far, so good. 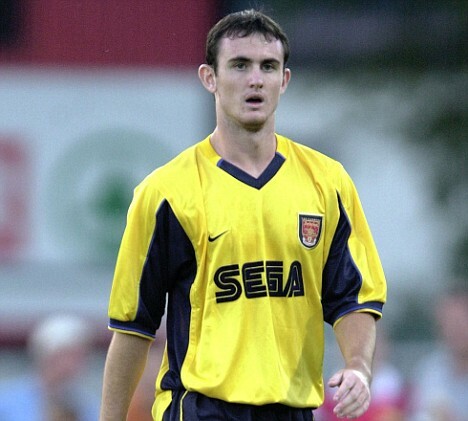 Enquire as to which player is level on goals scored for England Under-21s with the all-time record Premier League goalscorer and, surprisingly, it’s Francis Jeffers who crops up. This is typical of the mixed success Under-21 players go on to achieve later in their careers and a reminder of the fickle nature of football in general. Assuming Zaha chooses to represent England over his birthplace of the Ivory Coast, the Three Lions seem to have acquired a real talent. The winger has been tearing Championship defences to pieces for the last few seasons and soon he’ll be faced with a dilemma similar to that of Henderson’s when plucked from Sunderland at the peak of his powers. Arsenal have been touted as a possible destination for the youngster and he’d be hard-pushed to find a manager more adept at getting the best out of players with bags of potential. Crystal Palace have a great track record of producing talented footballers and with promotion in sight this season, it would be a wise decision to see how far he can go with the Eagles by next May. If the past week was a shock for Zaha then the media fanfare that came with it will have been an eye-opener for the Palace favourite. Reading the many testimonials of those who know him best, it appears that he has all the attributes necessary to make a success of himself. He is described as a conscientious young man with a winning work ethic and an abundance of talent. Interviews with the man in question have been somewhat more colourful with Zaha revealing the psychological tactics employed by more experienced professionals in an attempt to put him off his game. Fortunately, the bully boys haven’t got to him and he comes across as a confident footballer with ambition to match. And then there was the quote… “I’d never look at someone and think he’s better than me, unless it’s Cristiano Ronaldo or Lionel Messi.” Or rather, misquote. Appearing as the headline in many publications, Zaha took to his personal Twitter account to deny having said such a thing and claimed that his words had been “twisted” as he doesn’t believe himself arrogant. Either way, the experience will have shown him just how carefully he will have to conduct himself in public and the speed with which the press can turn against you should you be caught off-guard. 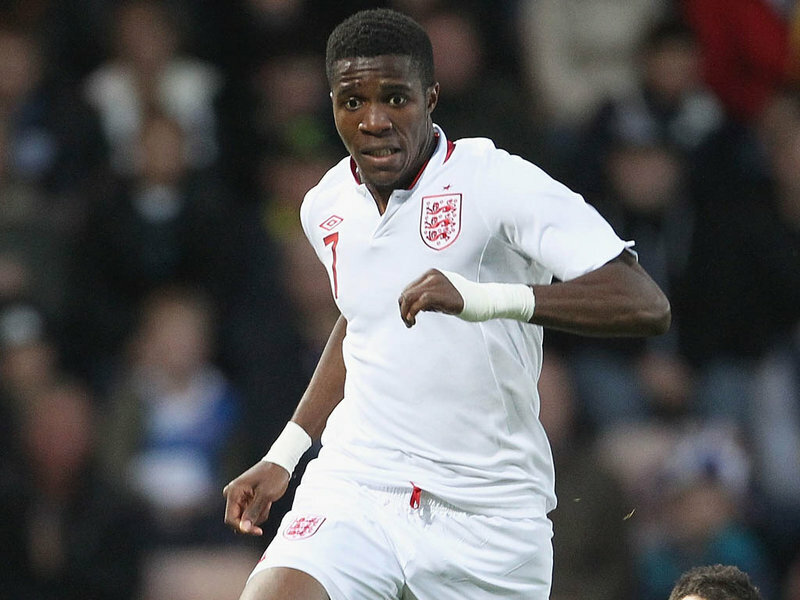 Zaha for England: A regular sight in future? This entry was posted in Analysis and opinion and tagged alan shearer, blackpool, brendan rodgers, connor wickham, crystal palace, england, francis jeffers, ipswich town, jordan henderson, liverpool, northern ireland, sunderland, tom ince, wilfried zaha by Andrew Belt. Bookmark the permalink.